Remember my angst about my non-gelling ginger plum jam? I opened a jar this weekend, and it’s perfect. Somewhere between the week after I made it and now, it gelled perfectly. Tastes great, too. It’s a mystery, but I’m happy with the outcome. I even sent some home with family at the end of Thanksgiving weekend. I’m working on a new shawl design with this beautiful yarn from Knitted Wit. It’s from her Community Supported Yarn club from this past summer, a vibrant green luscious merino/cashmere/nylon blend. I charted this out in September after taking a lace shawl design class with Sivia Harding. It took several tries to modify a lace pattern for the center panel so that it didn’t bias like crazy, and then I set the project aside. After all that, I chose a different lace for the center panel last month. When I picked up the project last week, I decided I didn’t like the new center panel after all, so I ripped it out today, only to find that I couldn’t knit from my previous chart. Edited to add: I just found out that if you use the buy it now button from my pattern pages, it doesn’t give you the opportunity to use the coupon code. You’ll definitely want to go to my Ravelry design page so that the checkout options come up before sending you to Paypal! So…… Are you offering some ginger plum jelly at the “Talents Market” at the Advent festival? I would buy a jar. 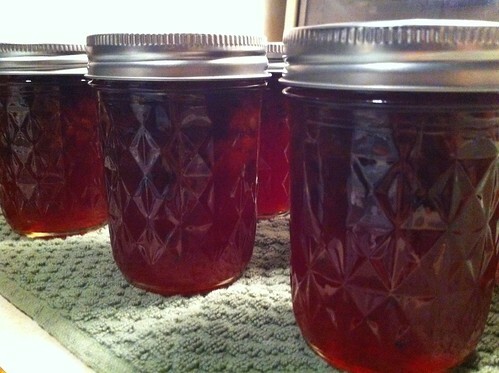 Ginger plum jam sounds interesting glad it turned out the way you hoped. 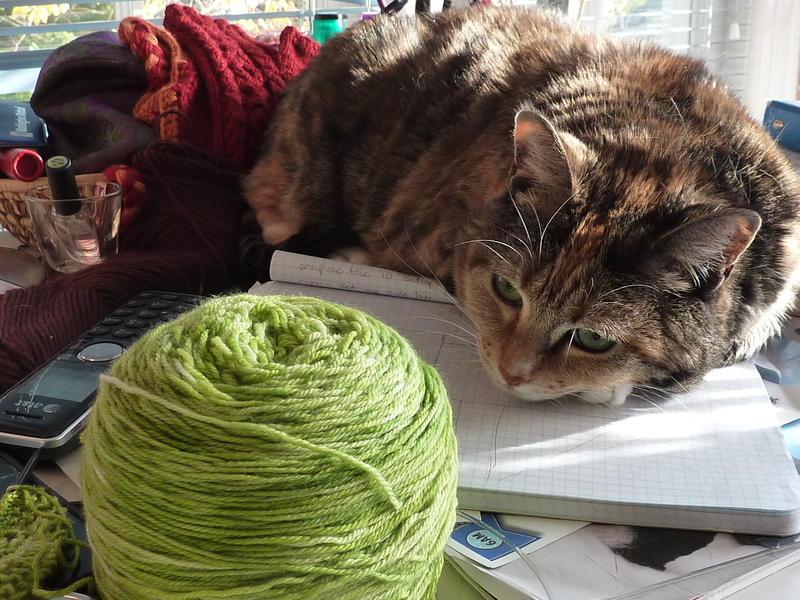 I can’t wait to see the shawl you design from that pretty yarn. Your coupon code spurred me on to buying your Zen Rain Shawlette! I am going to make one over the Christmas break. I’m looking forward to it! Someone once told me the common housecat has only two natural enemies: shoelaces and productivity. Looks like Mookie(?) is fighting the good fight.